Breakouts? 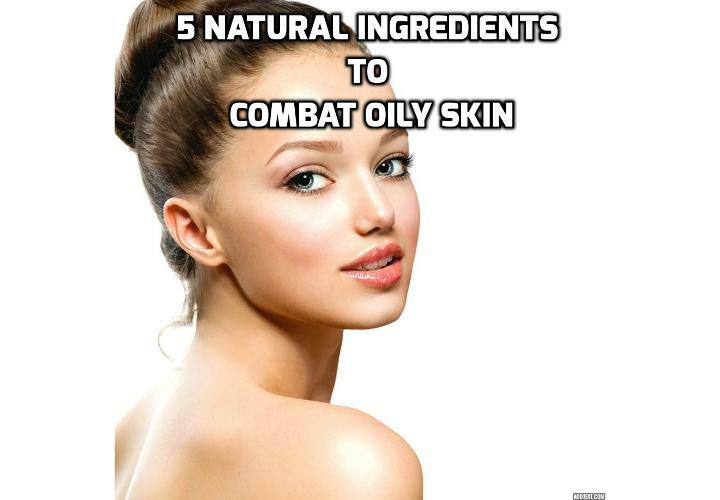 Check out these 5 natural ingredients to combat oily skin. We all know the importance of taking care of our skin, and that different skin types have different preferences and needs. Of all skin types, oily can often be the most difficult to take care of – a constant shine, the urge to touch your face to remove the excess oil, and of course, dreaded spots! However, not all hope is lost, as there are some amazing natural ingredients that can be found in many skincare products, or used alone, that can aid in combating that excess oil, and help keep your skin balance itself. Seaweed is perfect for oily skin and has some well-renowned oil-balancing properties. On top of this, it can actually help to dry out existing blemishes, while keeping your skin moisturised at the same time with its high content of vitamins and minerals. Seaweed exfoliators are great at penetrating deep into the skin, and buffing away that excess oil and dead skin cells that are left on the surface – revealing soft, healthy skin underneath. For oily skin, seaweed is a well-loved natural ingredient, and because of this, it can be found in a variety of skincare products across the board. Strangely enough, lemon juice works wonders for oily skin, and is a well-loved remedy for drying out acne. You can use lemon juice as a toner, mixed with water, or as a treatment and leave it on your skin for a few minutes before washing off. Lemon juice can also help to lightening hyper-pigmentation and spot scarring which is more common with oily skin. A well-known, extremely popular remedy for oily skin is tea tree oil. Its strong scent is a signature, but don’t let it put you off; similar to lemon juice, it will to dry out existing blemishes and excess oils, and has skin lightening qualities to combat hyper-pigmentation. ‘Tea Tree oil is a good antibacterial for skin!’ says skin expert and beauty therapist Hayley Lockwood, who has experience working with Clarins Skincare and Benefit Cosmetics – and this also ultimately helps to prevent any blemishes from occurring. Charcoal is renowned for being able to deeply penetrate pores and clear out blackheads and impurities. For this reason, a vast amount of skincare products on the market that contain charcoal are face masks and cleansers. Charcoal face masks in particular are often referred to as ‘detox’ masks, and they are extremely popular due to their ability to pull blackheads from the skin. Clay face masks are brilliant for oily skin sufferers as they act like a sponge on the skin, soaking up all excess oil and leaving the skin fresh, oil-free but also moisturised after use. Keeping moisture in your skin, even if it’s oily, is important because the less moisture you have in your skin, the more oil you will produce. Therefore, it’s important to opt for products that help to remove your excess oil, but don’t strip your skin of its natural moisture, and clay is an ingredient that does this well. Some clays can actually reduce the appearance of pores too. While oily skin can be a pain to look after, it’s important to keep to a structured skincare routine. ‘A good, thorough, routine is far better than one miracle claiming ingredient or product,’ says Suzie Melbourne from Senses Skin Care Centre. So after using an oil-reducing product such as the ones mentioned above, remember to follow up with a toner and a moisturiser. Which is the Best Stretch Mark Treatment if You Have Stretch Marks? Hi nice post you got there keep up the good work! Will visit this blog again. Thanks for the greet post, I love reading it! Recommendable post. I learn something more challenging on different blogs everyday. Helpful stimulating to see content from other writers and study a little something there. Let me apply certain of your content on my blog on hand mind. Natually Ill give you a link time for your web page. Appreciate your sharing. My sister saved this internet site for me and I have been going through it for the past several hrs. This is really going to benefit me and my classmates for our class project. By the way, I like the way you write.